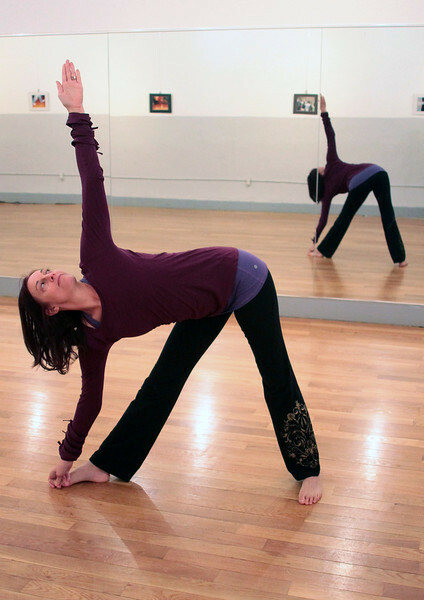 “What yoga does is harmonize the mind with the body,” says Kathleen Maroney, our Baptiste Power Vinyasa Yoga instructor. “Think about it: How often do we find that we are unable to perform our activities properly and in a timely manner because of the clutter and conflicts in our mind? Yoga will help you focus your mind and energy in a positive direction.” And there are physical benefits intertwined with the mental: yoga lubricates the joints, ligaments and tendons, detoxifies the body, and helps to tone muscles. Kathleen has been working hard at her training over the past nine years, and just last week, she received her official Baptiste certification! Vinnie’s is thrilled to have Kathleen as part of our yoga team, teaching an energizing class on Sunday mornings at our studio. 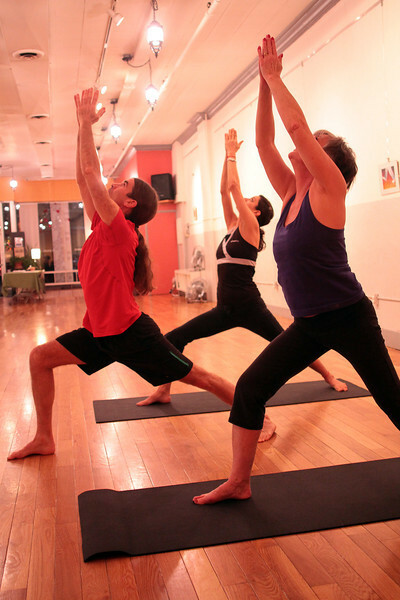 Together, Kathleen, Jeff, and Miriam provide a variety of yoga practices which are open to all levels. The health benefits of yoga are as exciting as those of dance – centering, strengthening, and cleansing the body and mind. “Nowadays everyone is talking about yoga because we all care about our health” says Jeff Hush, and I have to agree. 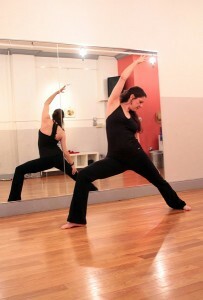 The connections between yoga and healthy living are clear and the CHC is proud to support Vinnie’s work as a yoga studio!